Six months of traveling non-stop! The latter half of which we found out we’re expecting a baby, and I’m sorry I didn’t do months 3-5 recaps. Can we agree to blame it on first trimester tiredness and morning sickness? Here’s our recap of month 6, and a few things we’ve learned this past half a year. Highlights: We visited so many gorgeous places this month! Ireland and Northern Ireland are beautiful. Some of the best sights were seen during our drives around the countries. It’s no wonder that many of the picturesque locations were chosen as filming sites for TV shows and movies. 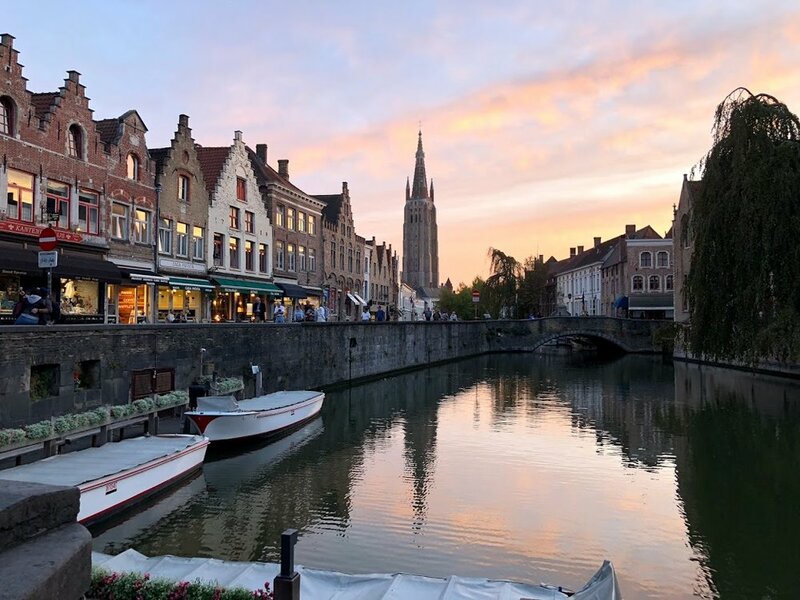 Brugge is truly a fairytale city. As a UNESCO World Heritage city, it attracts many tourists but still manages to keep its charm. On a more personal note, we got to feel baby moving around for the first time and get more ultrasound photos! We also found out the gender! Lowlights: Hot water was limited in some Airbnbs so we both got to experience freezing cold showers on a couple occasions. Brrr! Month 6 lessons: After driving on the left side of the road for 3 months it was starting to feel normal. When we got to Belgium where they drive on the right side, it was confusing for the first couple of days. It was especially difficult to remember to stay right when making a left turn, and which way to go at the roundabouts. Ireland is less crowded in September, but also much colder. It was nice to be able to drive the Ring of Kerry and visit popular sites without the traffic and long lines. We were, however, very happy to arrive in Belgium and be greeted by short-sleeves weather. Half-year thoughts: How has it already been 6 months since leaving Orlando?! While we do miss family and friends back home, we’ve been fortunate to be able to meet up with some during our travels and we are also enjoying exploring and traveling together. Additionally, it’s been really wonderful to make new friends and get to know people from around the world. We continue to meet people who wish they could travel more, travel longer, travel cheaper, etc. but don’t know how. We’re working hard on this website to help the people we’ve met and anyone else that wants to travel. If that’s you, leave a comment below and let us know what’s stopping you from traveling. We’ll do our best to help you out! One month Travelversary. Our first month of traveling forever as nomads in review!